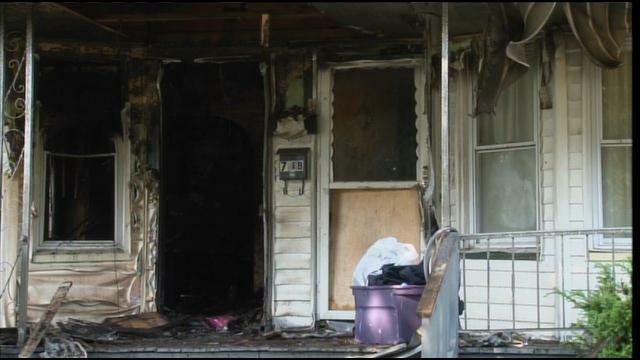 CLEVELAND, OH (WOIO) – Neighbors are calling three Cleveland firefighters heroes after they rescued two young children from a burning home. The rescue happened by chance. Firefighters were driving to pick up another crew member when they spotted a house on fire on East 93rd Street. They rushed over to help without any back up as they called the fire into dispatch. “I would call it pure luck because we were just driving down St. Clair,” said firefighter Rich Petras. Neighbors were screaming that there were children stuck inside. “They were like, ‘get in there and get those kids.’ And they didn’t realize that we were out of position and not properly dressed to go into a fire,” said Kenneth Guyton, the battalion chief. Once they geared up and entered the duplex, firefighters could hear one of the kids yelling from upstairs. “We were able to lay our lines down, knock the fire out quickly and find the young man,” said Lt. Ron Vargo. “You act on what’s given to you. We were just looking out for the boy upstairs,” said firefighter David Shantery. At the same time, Kenneth Guyton found an eight-year-old girl lying in the bushes next to the house. She had jumped about 30 feet from an upstairs window and broken her leg. Neighbors were happy to see firefighters find the children alive. “After they got the first girl out they started clapping, and when we got the boy out they clapped even more. So I guess we did our job that night,” Guyton said. Fire officials say the 10-year-old boy is in a coma and still recovering at Metro Health Medical Center. At a time when every second counts, these firefighters didn’t hesitate to jump in. But they insist they were just doing their jobs. “They heroes, they heroes. They got the kids out of there,” said Charles Wiley, a neighbor. A woman and another child escaped the fire before firefighters made it there. The firefighters will be getting commendations from the fire department. Fire officials are still investigating the cause of the fire. 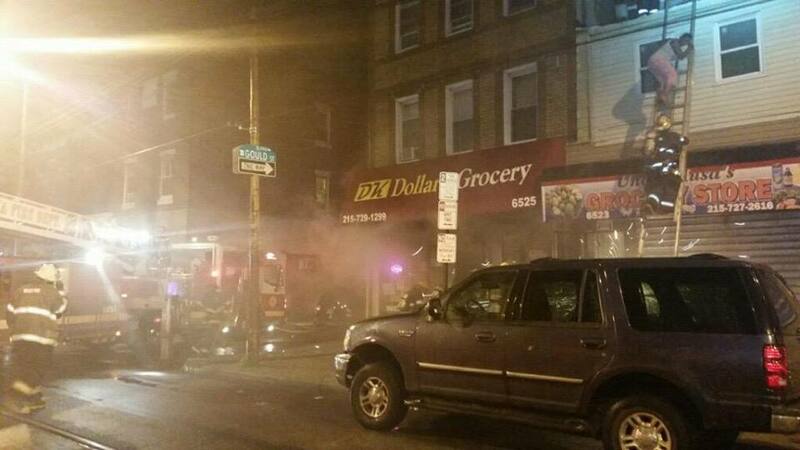 A blaze inside a grocery dollar store in Southwest Philadelphia damaged apartments above and neighboring row houses early Tuesday morning. The fire broke out around 2:00 a.m. at the intersection of Woodland Avenue and Gould Street. Firefighters arrived to heavy smoke pouring from the first and second floor of a 3-story building. They were able to get the blaze under control within twenty minutes. So far, no word of any injuries or word on what sparked the blaze. 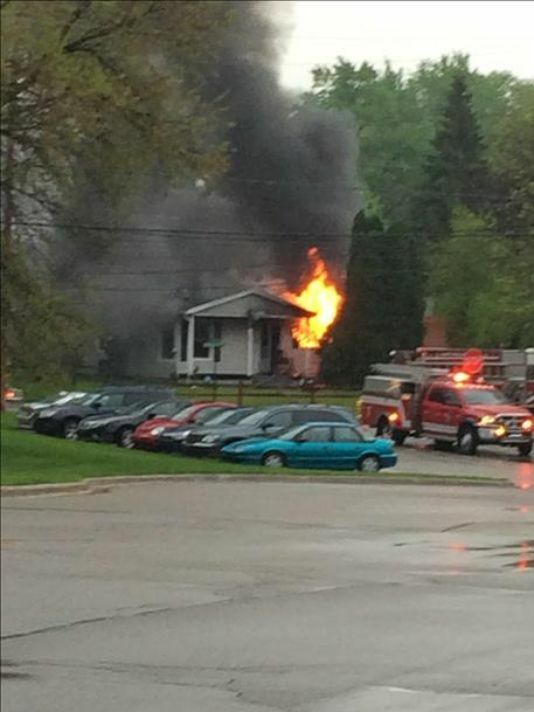 GRAND RAPIDS (WZZM) — A Grand Rapids woman was taken to the hospital after a fire in her home Friday morning. Firefighters had to help her get out. The fire began around 7 a.m. in the 1300 block of Bradford NE. The woman who lives there went to a nearby business to call 911, but then returned to the burning house. Firefighters pulled her out through a window. Fire crews say the blaze appears to have started in the basement and accelerated quickly. They are investigating it as suspicious. “We don’t have a plausible explanation right now of why and how the fire spread so rapidly, so we’re looking for those answers at this time,” said GRFD Battalion Chief Bart Perry. Firefighters did evacuate, because of concerns a floor could collapse. The Grand Rapids arson squad is investigating this fire. The woman was the lone occupant of the home. She is at the hospital in stable condition. 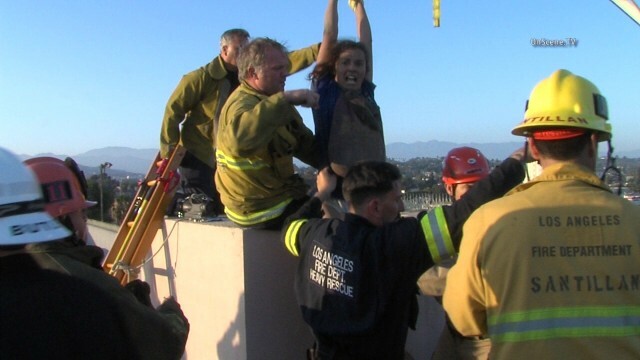 Firefighters rescued a woman stuck in the chimney of a Los Angeles school Saturday, fire officials said. The rescue took place just after 6 p.m. at the three-story Virgil Middle School at 152 N. Vermont Ave., Los Angeles Fire Department spokeswoman Margaret Stewart. 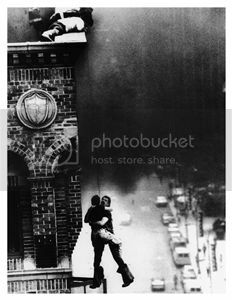 Aerial footage taken by NewsChopper4 showed members of an urban search and rescue team placing a “capture strap” around the soot-covered woman and lifting her to safety. She was then placed on a stretcher and taken to a hospital with minor injuries. It was unclear how the woman, in her 30s, got stuck 25 feet down the chimney shaft. The incident may be connected to a report of a woman threatening to jump from a roof earlier in the day, fire officials said. 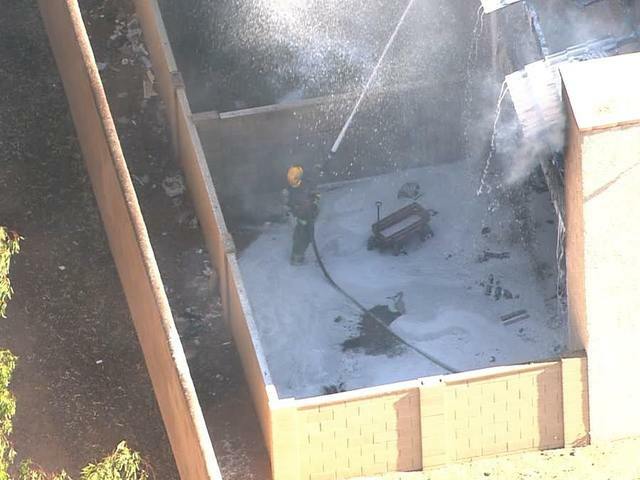 PHOENIX – Officials are investigating after a large fire at a Phoenix apartment complex on Tuesday afternoon. Phoenix fire responded to 27th Street and Greenway Parkway and found heavy fire and smoke coming from a unit in the complex. Crews had to rescue an elderly woman from a unit next to the fire due to smoke filling the apartment. The fire was contained to one unit. The case of the fire is under investigation. 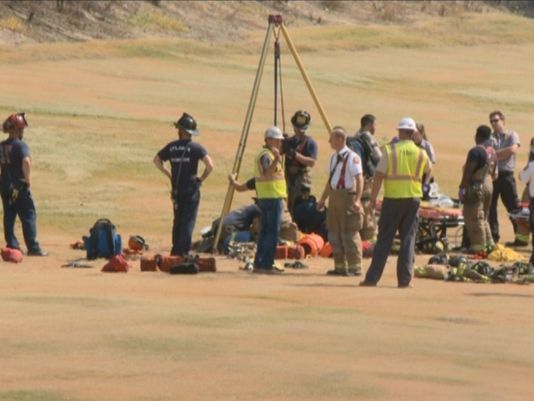 KANSAS CITY, Kan. – A man was rescued after he became trapped in a trench at a residence Tuesday. Fire crews were called at 5:30 p.m. Tuesday to 1649 S. 44th Street on reports that a person was stuck. According to the Kansas City, Kan., Fire Department, a 46-year-old man was one of three people working in a trench when it collapsed. The trench was about 12 feet deep. 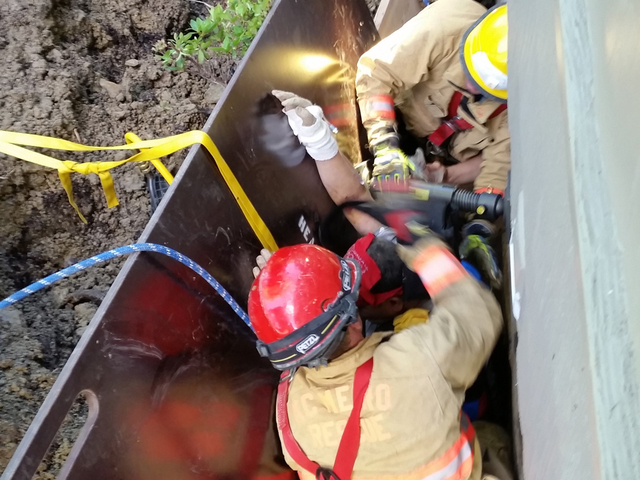 Just after 6 p.m., fire crews appeared to pull the man from the trench. The man was transported to a local hospital. He was conscious but suffered an injury to his leg and possibly rib and lung damage. As of Wednesday morning, the condition of the man is unknown. 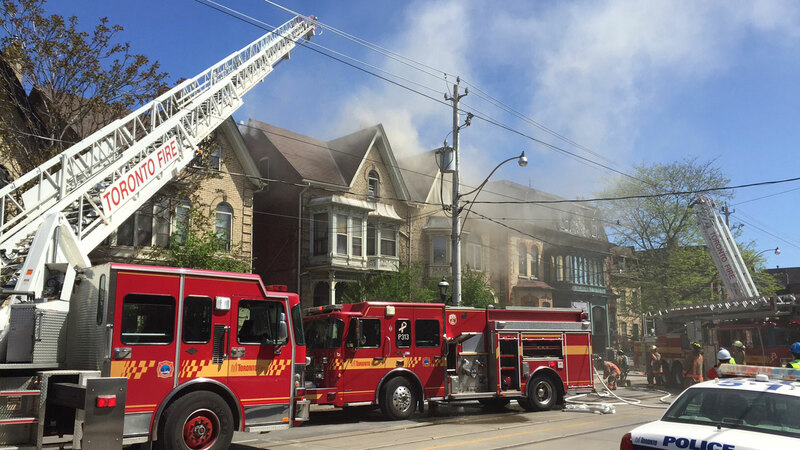 An off-duty firefighter is being hailed a hero for rescuing a man from a burning rooming house in Cabbagetown. The fire broke out at a Toronto Community Housing (TCH) building on Carlton Street, near Parliament Street, around 10:30 a.m. on Wednesday. It appears the fire started in one of the upper floors, and flames could be seen shooting through the roof. Dave Archer, who has 12 years of experience on the Toronto Fire Service, said he was in the neighbourhood at a local office teaching a first-aid class. When the class was on break, he stepped onto Carlton Street and saw smoke coming from the house. He noticed a man was hanging out of a window on the second floor, as smoke poured out around him. Archer ran into the home, despite the fact he was wearing blue jeans, a golf shirt and flip-flops. “As soon as I got to the landing, I could see this gentleman through the smoke, grabbed him, pulled him through the window and escorted him down the stairs, and got into the paramedics for treatment,” he said. DENVER — One man was rescued and two women escaped from a burning home early Thursday morning in northwest Denver. The fire was first reported about 12:20 a.m. in the 3800 block of North Zuni Street. Fire crews said there was heavy smoke coming from the home and two women in the front yard when they arrived on the scene. A man who was trapped in the back of the house had to be rescued by fire crews. He was not injured. The two women were taken to a local hospital to be treated for smoke inhalation. Firefighters said the fire was in the kitchen, then spread into the attic. The cause of the fire remains under investigation.